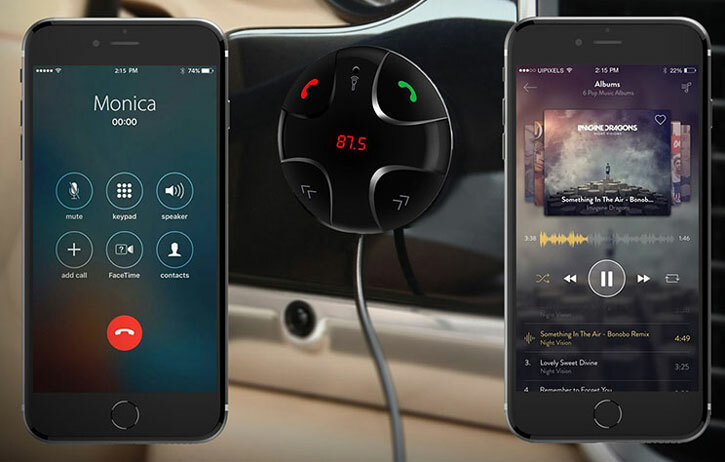 Send music, calls and other audio to your car speakers from your phone with the Forever TR-310 FM Transmitter. The built-in 2.1A charger keeps your device topped up so you can keep using battery-intensive apps like GPS or streaming services. A low cost, reliable shipping method, suitable for your less urgent orders. This service is untracked and is usually delivered within 7-15 business days. A secure and reliable tracked service delivered by Australia Post. Orders sent using this method usually get delivered within 4-6 business days. A fast, secure and reliable service. Your item will receive priority handling and benefit from a full online tracking facility so you can check your parcel’s progress along the way. Usually takes 3-4 business days within the metro area. It is a lot better than the one I had before, you can jump tracks and it's so much easier to set up and you can put it anywhere you like. A really neat product. Remote control has plenty of cable giving more options for I location. 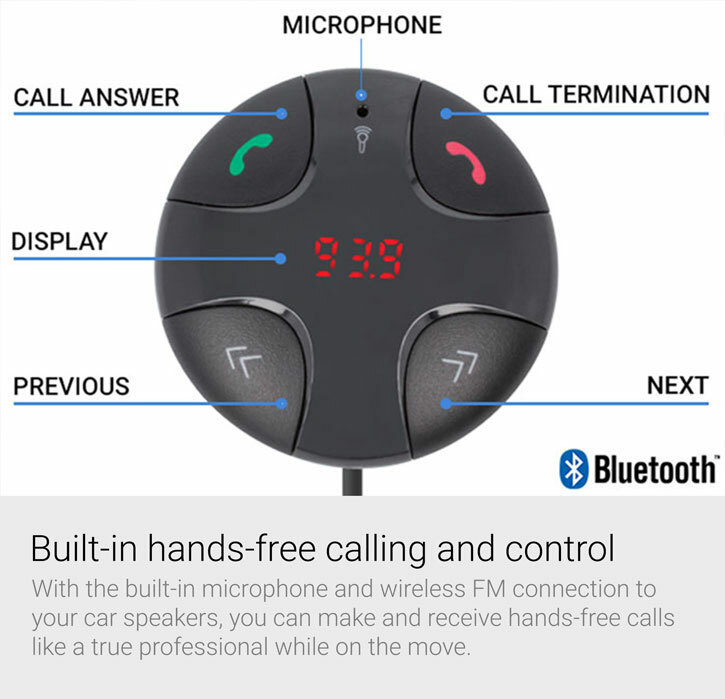 I bought this for the Bluetooth/FM feature with usb charger but the option to use as a phone receiver is a welcome bonus! The product description was excellent.Before buying Forever car FM Transmitter its was listen to the radio or my music on my phone(not very good at all) Now I can listen to my music through the car speakers . It was easy to set up had it up and running in 10 mins. EXCELLENT PRODUCT. With the Forever FM Transmitter, you're no longer at the mercy of the radio DJ, nor do you need to carry a huge bulky bag of CDs around with you. 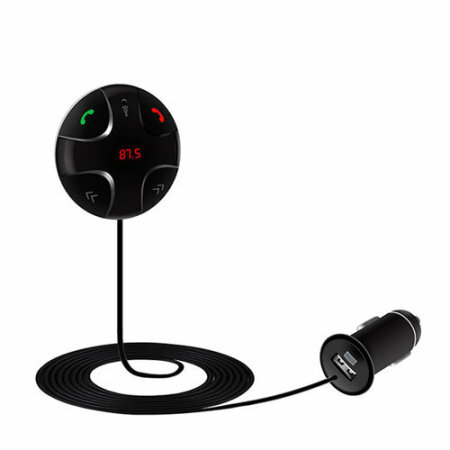 Simply connect the FM Transmitter to your iPhone via Bluetooth, select an FM frequency with the clearest signal and tune your car radio to that same frequency. 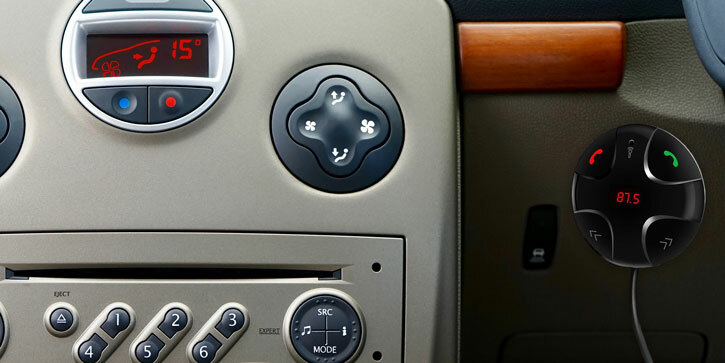 Within seconds, you'll be listening to your favourite tunes or podcasts through your clear, booming car speakers. 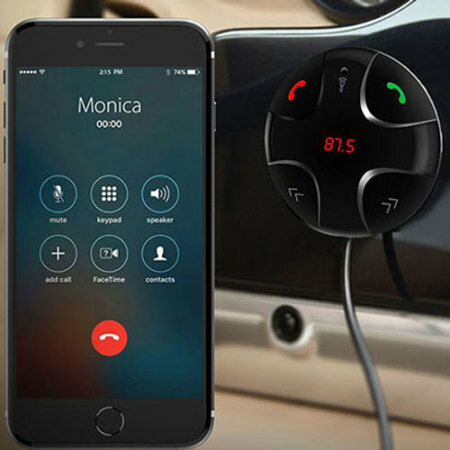 Make and receive calls all through your car speakers and the built-in microphone on the Forever FM Transmitter. This ensures you are concentrating on the journey and not the phone itself. The built-in controls allow you to answer, reject and end calls - as well as controlling music playback. 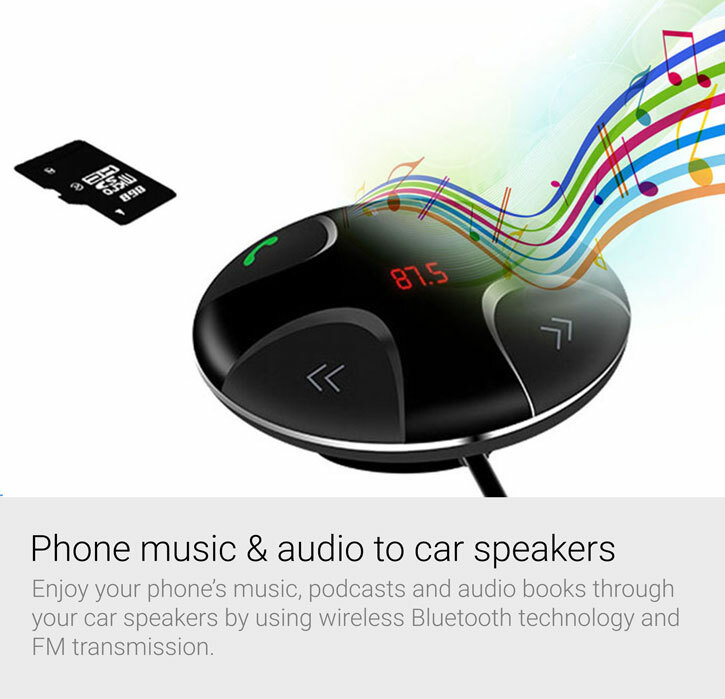 Using wireless Bluetooth to connect your phone to the Forever FM Transmitter, and then a free FM frequency to send the signal to your car radio - you can be sure of a crisp and clear sound that will greatly improve your music listening experience in the car when using your phone. Lost in the wild and need to use battery-intensive GPS? The Forever FM Transmitter also features a powerful universal 2.1A USB port, so you can keep your phone alive while you find your way around. 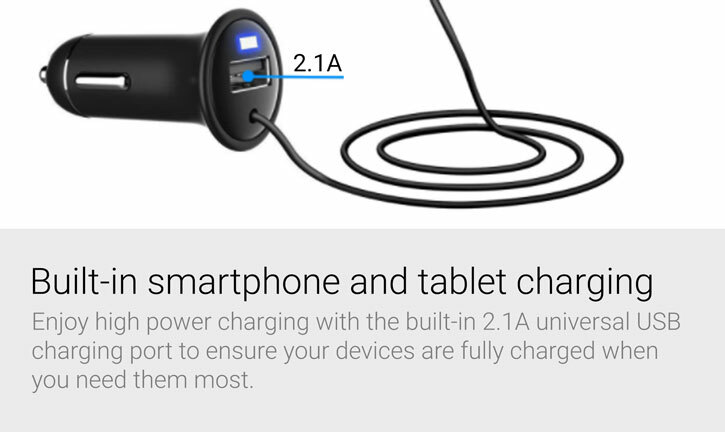 This charger is even mighty enough to power a tablet! The display on the Forever FM Transmitter is clean, concise and easily visible from any angle, so you'll never need to worry about not being able to see the details you need. The interface is easy to view and configure, too, so anyone can make use of this convenient FM transmitter and charger. With music streaming services becoming more and more popular, you are able to play your music through the Forever FM Transmitter when using Spotify, YouTube, Pandora, Deezer and many other audio services. If you can usually hear the audio on your phone, you can certainly hear it through your car speakers with the Forever FM Transmitter. 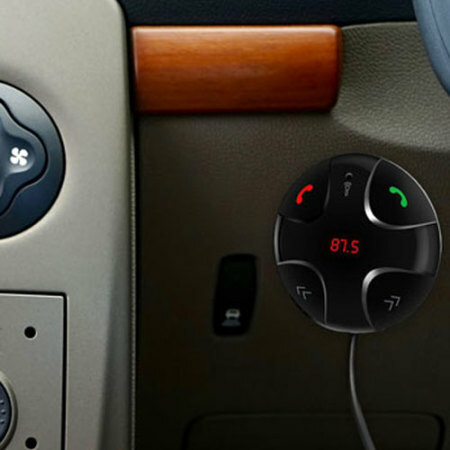 There's no tangle of messy wires or additional cables with the Forever FM Transmitter. The built-in universal USB charger, Bluetooth and FM transmitter are all linked by one integrated wire, meaning you'll never lose a crucial component. 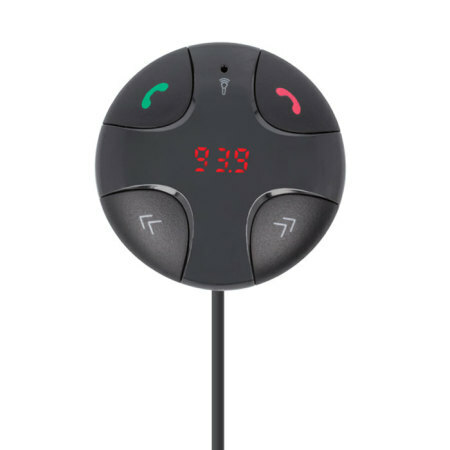 The Forever FM Transmitter features an easy to install magnetic base, which can be attached to a flat surface within your vehicle so the controls are in an easy to reach location. 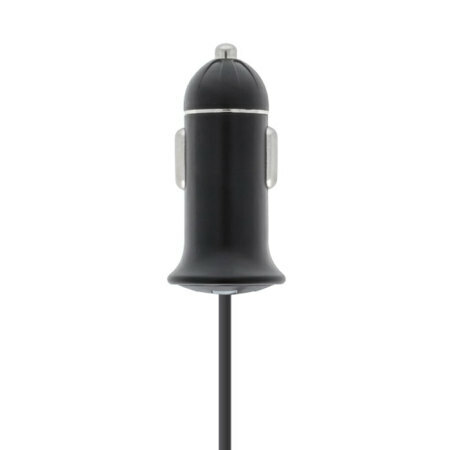 If you wish to remove the Forever FM Transmitter from your vehicle, the simple magnetic attachment allows you to simply lift it off its mount and away you go.